Everybody knows quilting has taken a turn. 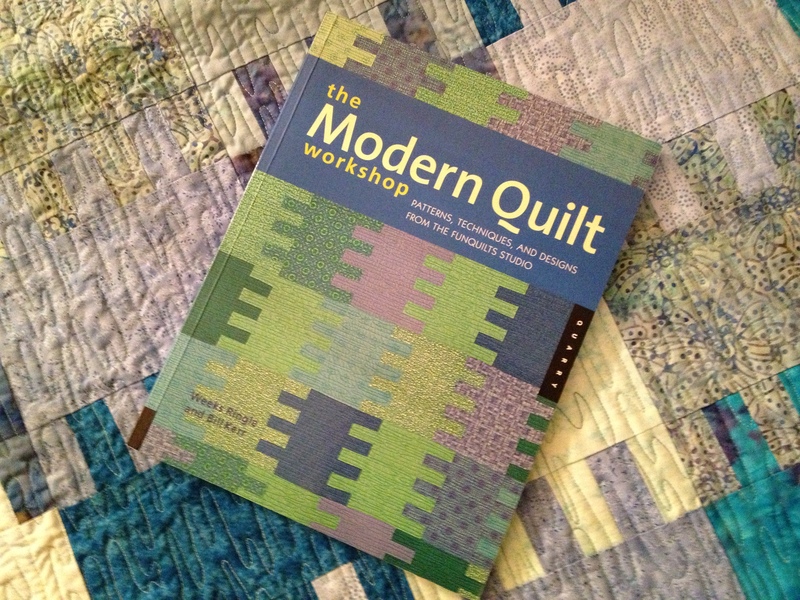 When I was growing up, even into mid-life, there simply wasn’t anything modern about quilting. I inherited stacks of quilting books from my mother-in-law, all of them filled to the brim with beautiful designs pieced from blocks with special names, and techniques passed down from generation to generation. When you learned to quilt, you started with blocks that were already well-known: Log Cabin, Nine Patch, Flying Geese, Dresdan Plate, Drunkard’s Path (! ), and don’t forget Sun Bonnet Sue. To this day, I am fascinated by my mother-in-law’s quilts: her meticulous piecing, her hand-quilting and attention to detail, the HOURS and HOURS she must have put into many of them. They seemed unattainable to me, hallmarks of patience and perfection, dedication and perseverance. Thank heavens, today’s designers have set in motion a quilting rennaissance. They’ve blown the lid off the quilting world and set new standards for what perfection looks like. And it’s original. Of course, we all still need to learn technique. And good design never changes. It has an eye candy appeal that defies description. Young graphic artists have made their way into the world of sewing and quilting and given it new life. People like Tula Pink, Kate Spain, and Angela Walters. Years before the latest “modern” quilt trend seemed everywhere, I created this sample for the store. Such a simple design, taken from “The Modern Quilt Workshop” by Weeks Ringle and Bill Kerr. The book was published in 2005, far ahead of its time. Yet it paved the way for the kinds of things we are seeing out there now. 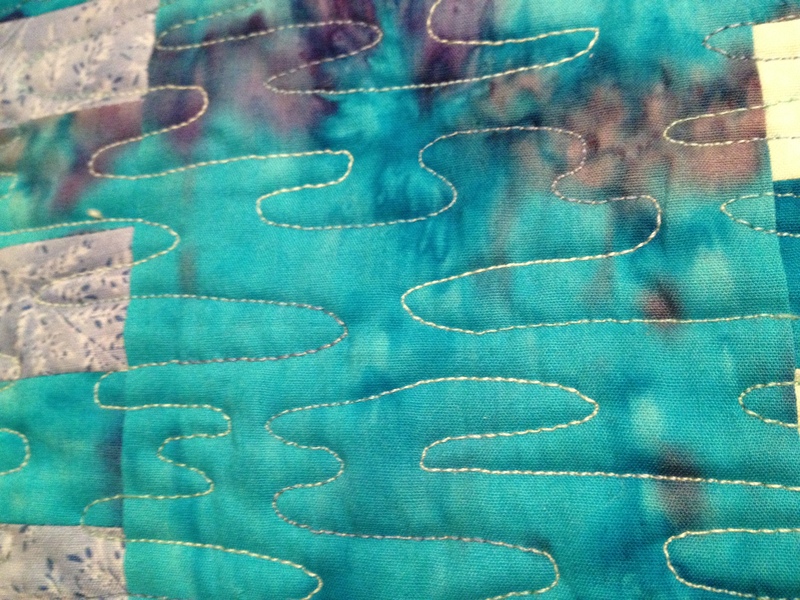 Simple graphics, free form quilting, negative space, and color color color. I love that traditional quilting is still as popular as it has always been. I love even more that quilting has opened up to new people who are using fabric and design in unusual ways. And most of all, I love that people seem to be making things, spending time thinking and constructing and using their imaginations and their hands. 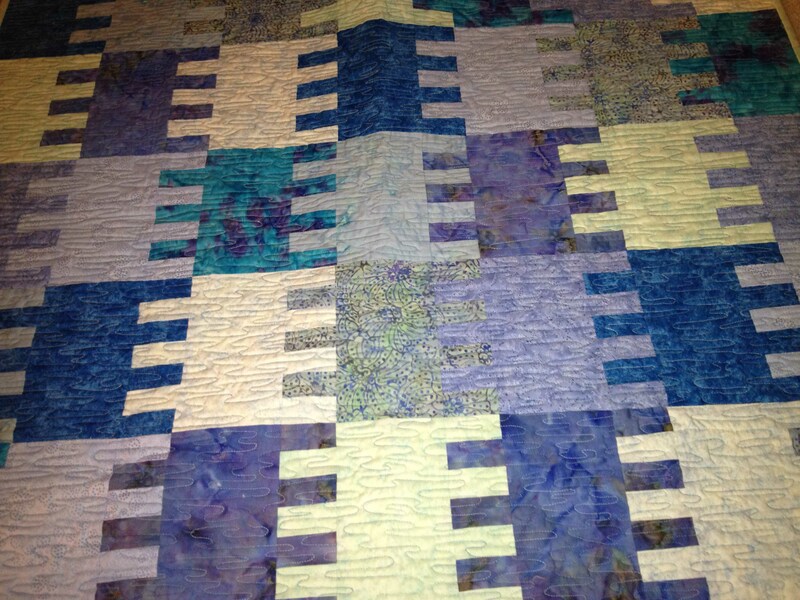 This entry was posted in Creativity, quilting and tagged modern by edges. Bookmark the permalink.